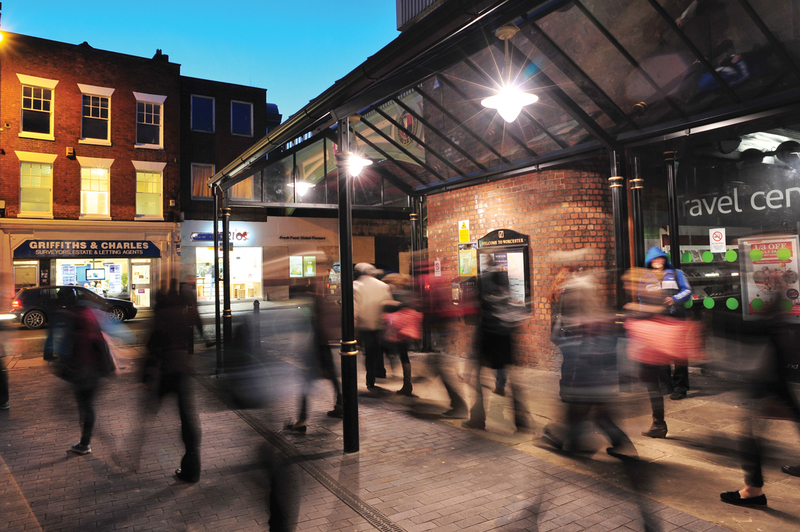 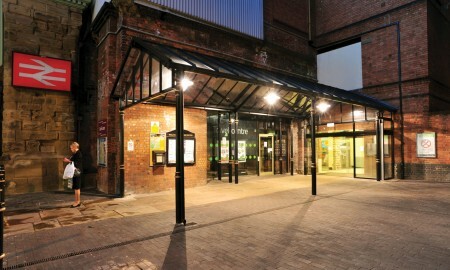 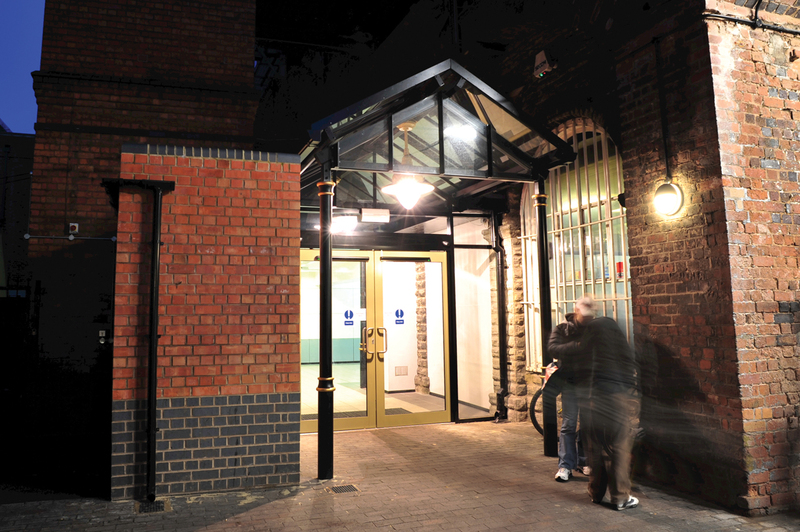 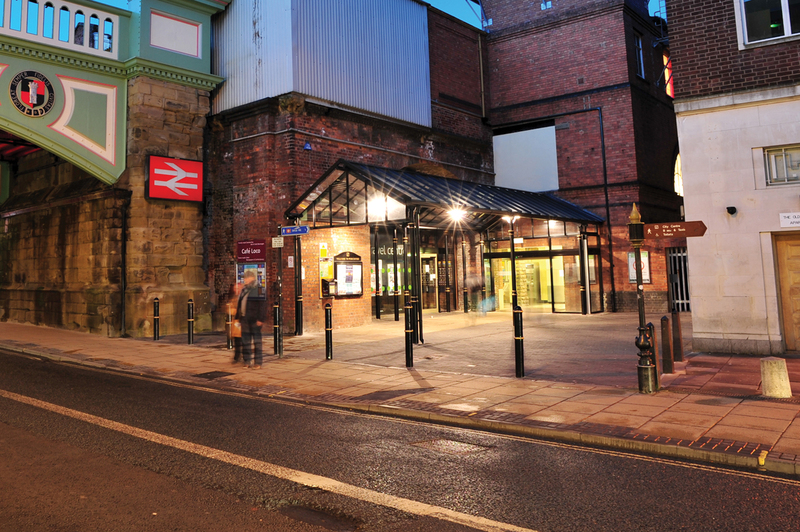 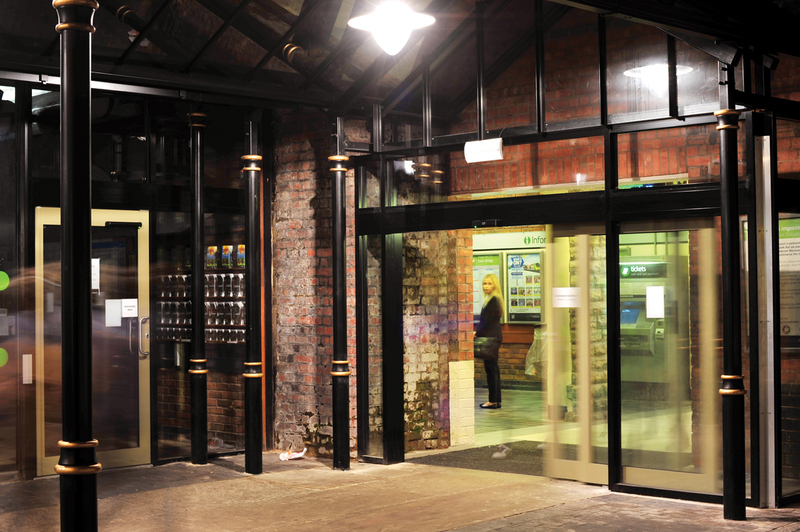 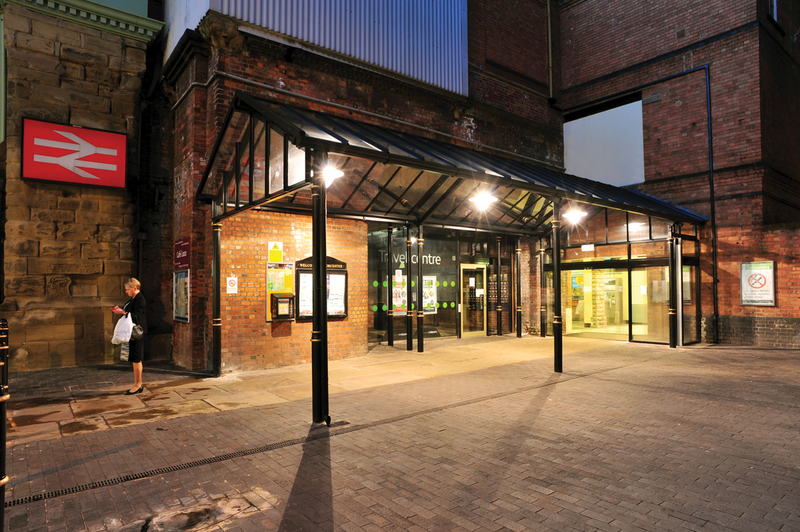 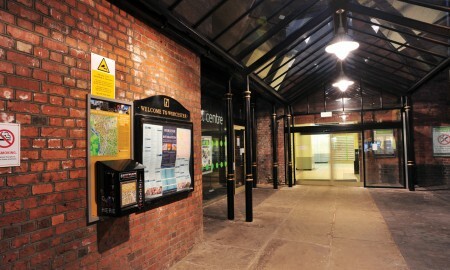 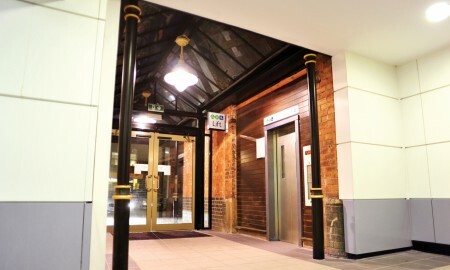 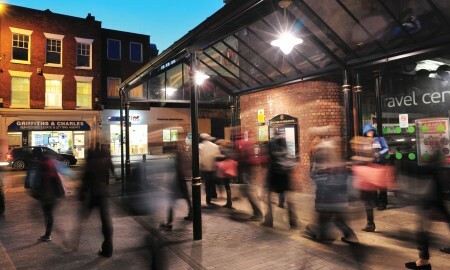 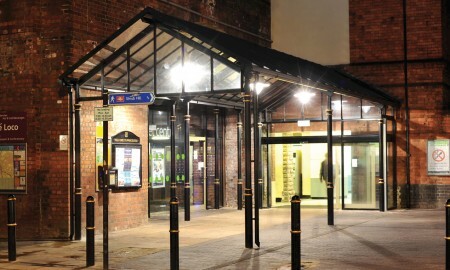 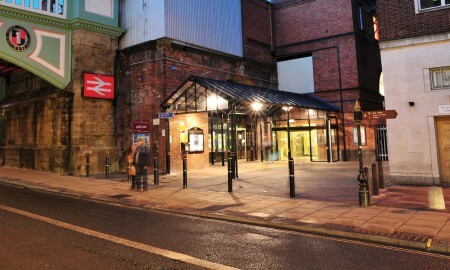 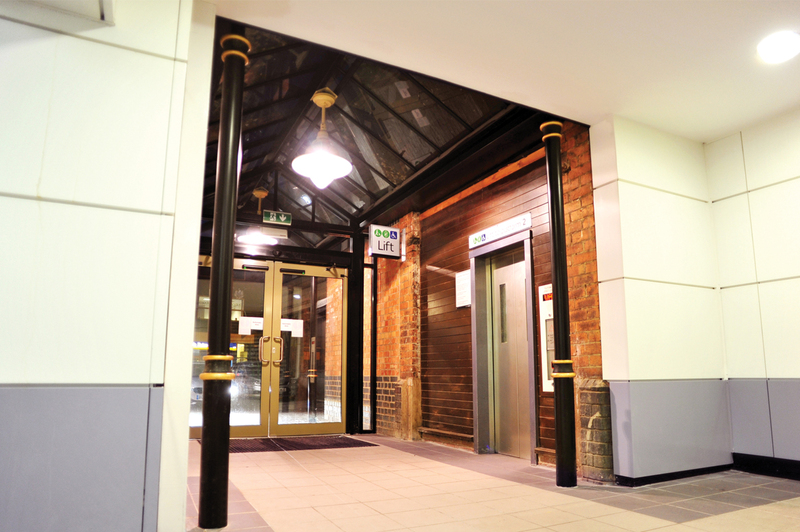 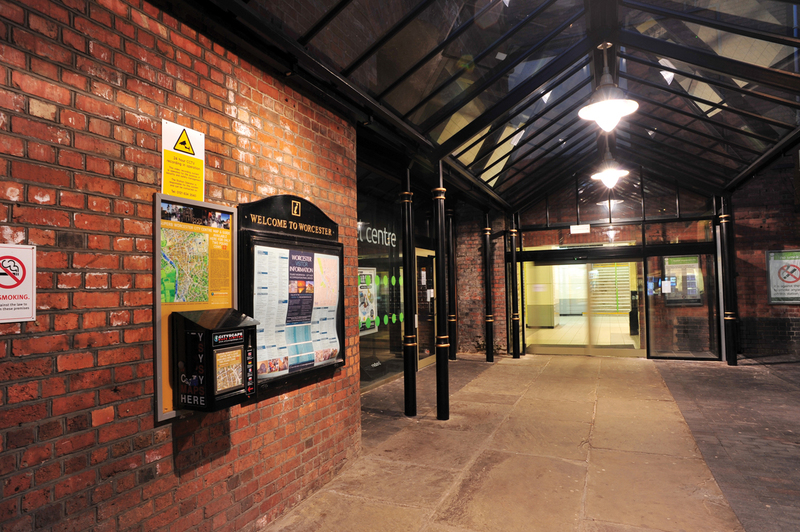 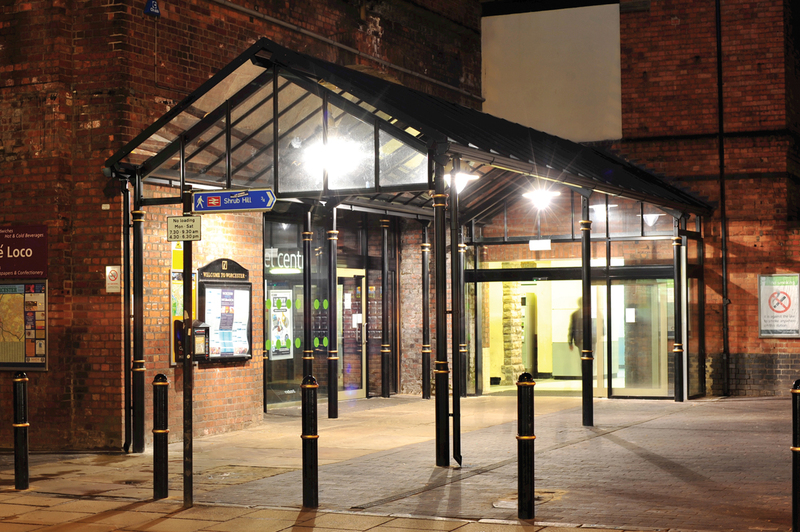 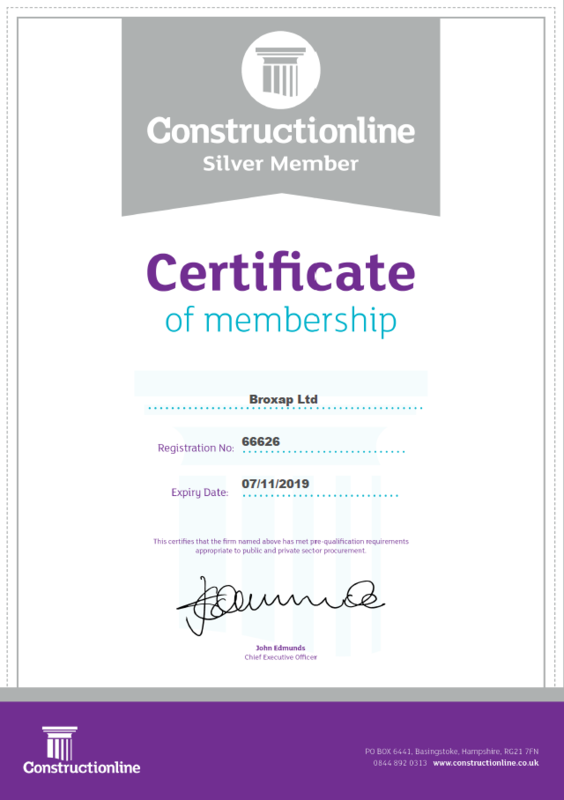 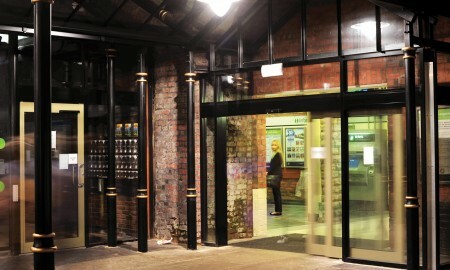 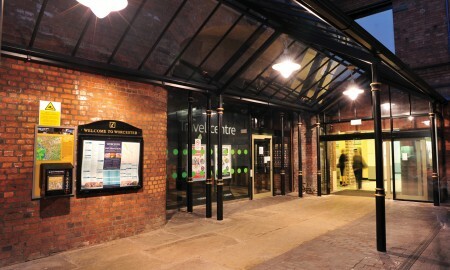 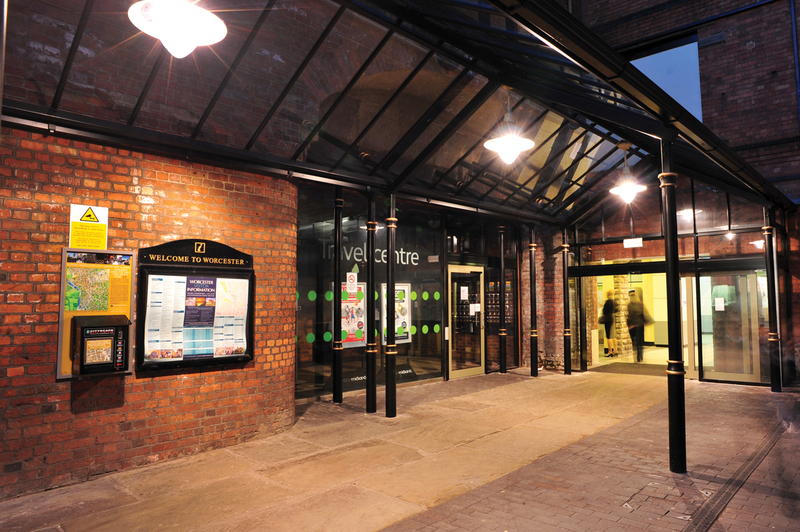 The station required a covered entrance canopy that was sympathetic to the existing traditional look of the station, Broxap were tasked by the Buckingham Group to design a structure to fulfil this criteria. 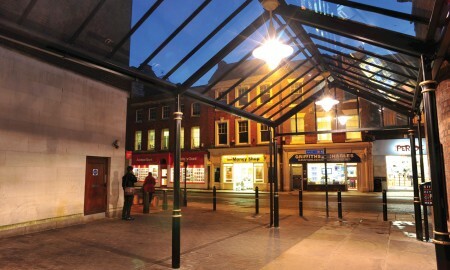 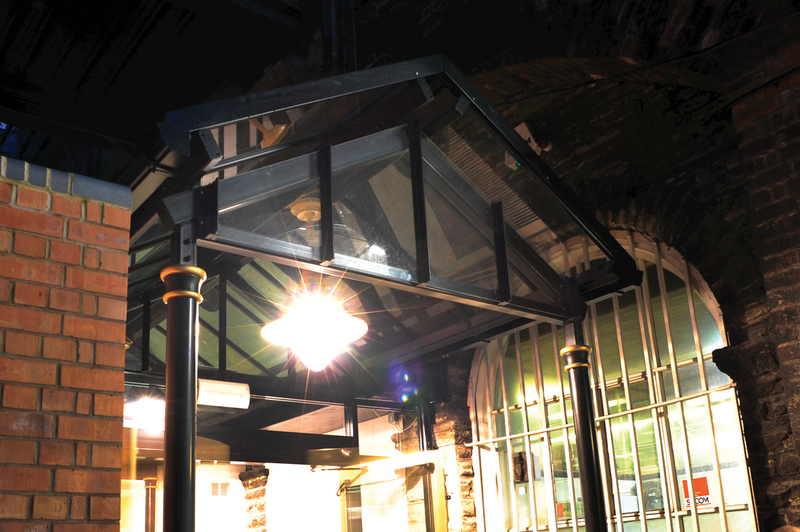 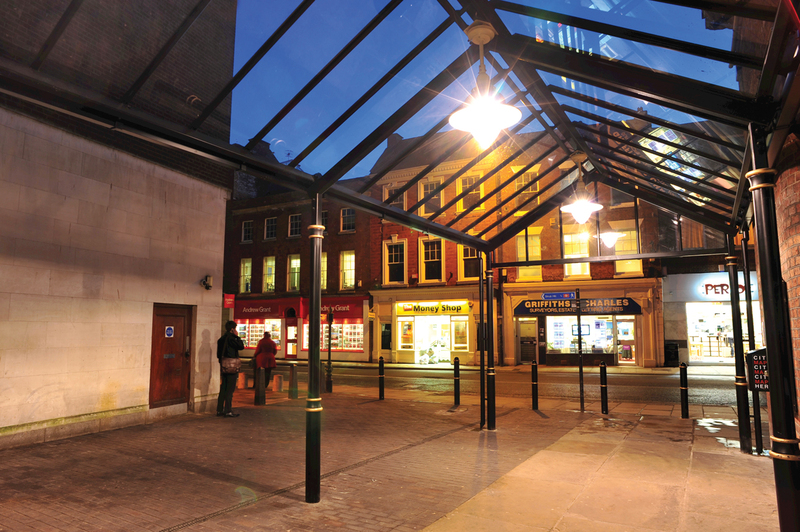 Broxap took its traditional style St Georges and utilising elements and designs from their Dorothea TM portfolio of traditional canopies; and designed a canopy that was constructed of galvanized powder coated steel and featured a glazed apex roof with traditional styled internal lighting. 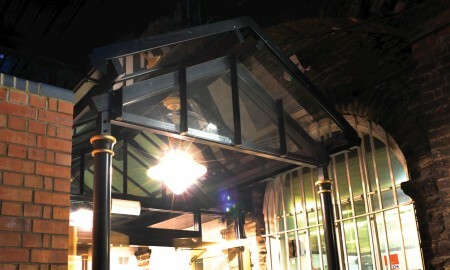 Cast column features provided the canopy with a traditional look and feel. 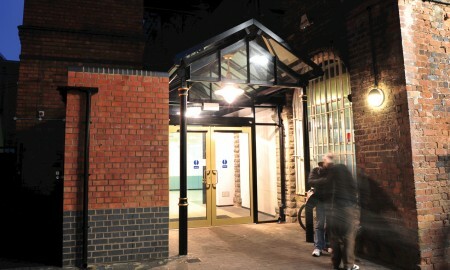 A smaller version was installed at the other entrance beyond the arched bridge.